The Stainless / Galvanized version of the Guardian Low Profile lift table is ideal for wet applications. 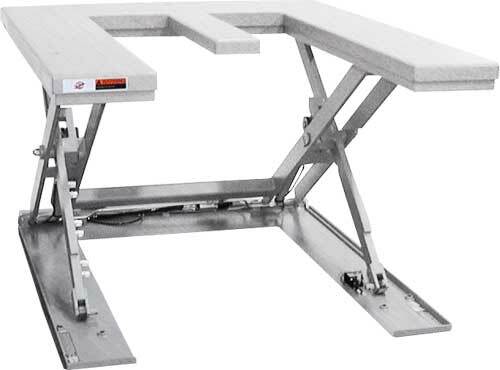 The "U" shaped low profile table is ideal for handling wire baskets, containers, plastic and wooden open bottom pallets. 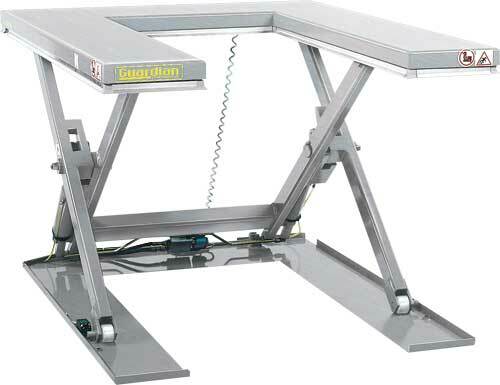 This design allows loading with either a manual or electric pallet truck without the need for a loading ramp.